Debbie Letniak was born to Franz and Doris Siemsen on September 23, 1952 in Sandpoint, ID. Her mother was a nurse, as well as a homemaker and her father was the community physician. Two years later she was joined by a sister Patti and the two were inseparable. When Debbie was 9 and 12 years old Don and Dave entered and completed the family. As the eldest Debbie was most often the leader and kept the children going from adventure to adventure. Debbie went to Sandpoint Jr Academy with her best friends Arlene, Nadine, and Patti. She thrived on the challenge that math gave her. She then attended Upper Columbia Academy from 1968-70 were she exercised her independence. She would escape to town on her horse, kept at a near-by farm, to buy chocolate bars. Her first job was working as receptionist for her dad in his medical office where she loved greeting all the patients and putting smiles on their faces. She officially left home in the fall of 1970 to attended Walla Walla College in College Place, WA to pursue a degree in education. Debbie always had a heart for missions and spent a year teaching as a student missionary in Sierra Leone, Africa from 1972-73. She came back to Walla Walla and finished her teaching degree. It was during this time that she met the love of her life, Lawerence Letniak. He was a farm boy from Canada that caught her eye with his humor and kindness. The couple got engaged on July 4th in Sandpoint at the local cemetery (the location was chosen because of the beautiful view). Almost a year later on June 29, 1975 the couple exchanged vows in Sandpoint, ID on the very lawn that Debbie grew up playing on. Adventure and challenges never deterred Debbie and the newly-weds began their first year of married life in Zimbabwe, Africa where they both taught school. After their year of missions was over, they came back to the Alberta prairie lands, where she embraced farm life with the same vim and vigor that she did everything with. She began teaching at the local school in Veteran from 1976-81. On March 9 of 1981 Debbie and Lawrence welcomed a handsome bouncing boy, Ryan Lawrence. Twenty-three months later, on February 11 a petite, determined daughter Jodi Aline was born. Debbie would continue teaching some, but her focus would be spending her time raising her Ryan and Jodi on the farm. She and Lawrence were both very involved in their children’s lives and encouraged independence and a strong work ethic. When it came time for the children to go to school it only seemed natural that Debbie would teach them at least for the first few formative years. In 1991 she returned to the workforce and spread her joy and enthusiasm for education throughout the community. She worked at Veteran, Brownfield, and Coronation as a teacher, and Consort, Coronation, Castor and Veteran schools as a speech therapist assistant. In January 2009 she became the principal of Veteran School and her strengths really began to shine through. 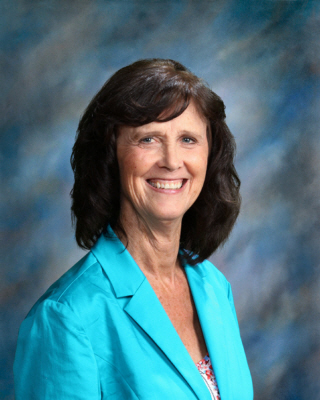 She was a dynamic, passionate, and energetic educator and administrator. Her wonderful smile and positive demeanor always preceded her when she entered the room. Throughout her life Debbie served her church, community, and educational system on several boards and committees. She always looked at the needs of the children as her foremost concern. Mamawi Atosketan Native School in Ponoka, AB was close to her heart. She raised funds, served on the board, and brought in motivational speakers for the students. Debbie flourished under the challenges of a remote life, and learned countless skills such a life required. She could always be found with a list and a project, from canning, to selling greenhouse plants, even harvesting more than 600lbs of potatoes to sell at the local market. Debbie was passionate about water skiing and snow skiing and the family time it brought. She was always able to find some vacation time to partake in these activities. You could always guarantee that a trip out to the farm would include horseback riding as Debbie always wanted to go for a quick ride. Long distance drives were something that she loved to do as well. There was always promise of good conversations, singing, and usually some side trip adventures. Hiking and being in nature always gave Debbie the opportunity and delight to surround herself with God’s beautiful creations. She retired from teaching in July of 2015 in a conscience effort to spend her time with family. At her core, she loved adventure and enjoyed including others. Her retirement gave her more time for exploring and travel. For example, she took her 89 year old mother on a long wished cruise through the Panama Canal. She was now able to spend more time with her beloved grandchildren and cherished every event life had to offer. The last 18 months were challenging and emotional as she fought against a glioblastoma but Debbie drew strength from her Creator. Debbie’s zest and zeal for life didn’t stop with her diagnosis. You never found her disheartened or discouraged. She filled her life with positivity and thankfulness. Family and friends drew closer than ever. Love and support never wavered. She will be so missed. She was a friend of Jesus, our Savior, so she lived and died with the promise that she would be part of the resurrection when Jesus comes again. We can’t wait to see her again. Debbie Letniak is survived by her loving husband Lawrence Letniak, son Ryan (Trina) Letniak of Edmonton, AB, daughter Jodi (Marvin) Primero and grandchildren Chloe (6) and Braden (4) of Burleson, TX. One sister Patti (Steve) Schultz of Post Falls, ID; Brothers Don (Cyndie) Siemsen of Tillamook, OR and Dave (Sue) Siemsen of Newport, WA. Brother-in-law Ron (Connie) Letniak of Consort, AB; Sisters-in-law Darlene (Paul) Karmy of Burleson, TX and Ellen (Bob) Bell of Lacombe, AB. Ten nephews and six nieces. She was preceded in death by her parents Franz and Doris Siemsen and parents-in-law James and Marie Letniak. Heather Caseley has been entrusted with the care and funeral arrangements; Coronation Funeral Home P.O. Box 358 Coronation, Alberta TOC 1CO; 403.578.2928 Condolences can be sent to the family by visiting our website at www.coronationfuneralhome.ca.